She taking on professional sports’ lack of diversity and doing it with a brilliant smile and fierce afro! Meet this week’s BHM WCW. In continuation of our Black History Month Woman Crush Wednesday, today we’re highlighting Nzinga Shaw, a champion for diversity. 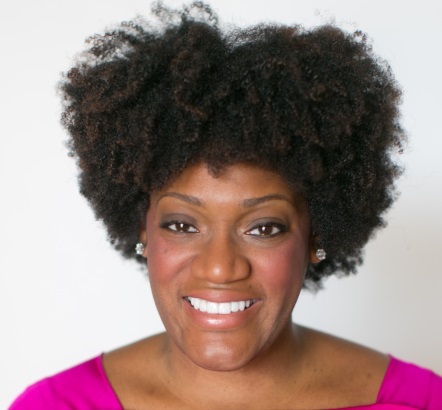 Nzinga (pronounced Zing-ah) Shaw is the Chief Diversity & Inclusion Officer for the NBA’s Atlanta Hawks. In her role, the first ever of its kind in professional sports, she seeks to help the organization develop an environment where differences are valued and integrated into every part of its operations. That’s a major undertaking in an industry that is notoriously dominated by white males. Shaw was placed at the helm of the Hawks’ new initiative after a controversial email from former owner Bruce Levenson surfaced, and since that time she has been dedicated to her mission within and without the organization by hosting events for ColorComm and championing the NBA’s Global Inclusion Committee. Prior to taking on such a ground-breaking role with the Hawks, Shaw was the Senior Vice President, Diversity & Inclusion Officer at Edelman. Edelman, by the way, is the planet’s largest, most profitable public relations firm; so yeah, she’s major. Before her tenure at Edelman, the Spelman College and University of Pennsylvania graduate, worked in Human Resources for Essence Magazine and the NFL. The work she’s doing is amazing, so be sure to keep up with Ms. Shaw via Twitter & Instagram as she works to diversify professional sports and improve on the position of women in sports.